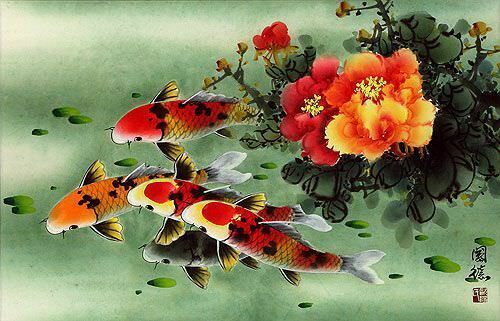 Artwork Panel: 31.5cm x 98.6cm ≈ 12½" x 38¾"
Silk/Brocade: 40.5cm x 154.5cm ≈ 16" x 60¾"
A very detailed wall scroll featuring several koi fish and chrysanthemum flowers. 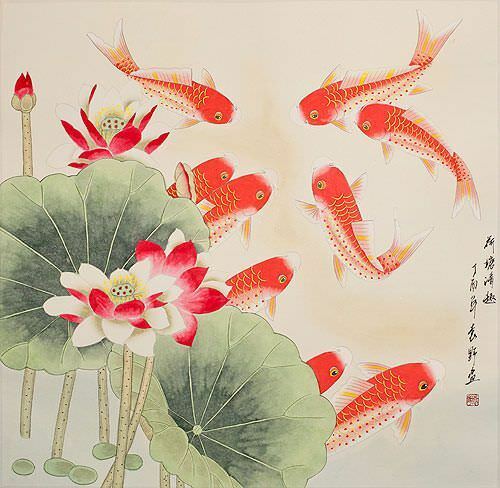 The title written in Chinese on this artwork is "Qiu Ju Tu" which basically means "Autumn Chrysanthemum Painting".The other characters include a short inscription and the artist's signature. 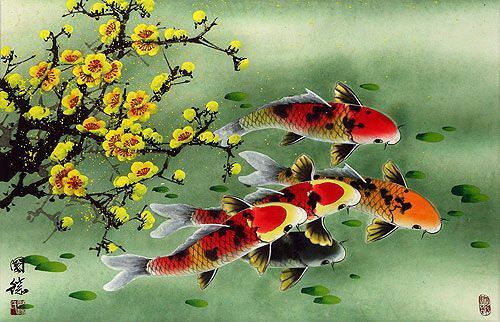 This is a very detailed koi fish painting. You can see almost every scale, individually painted. 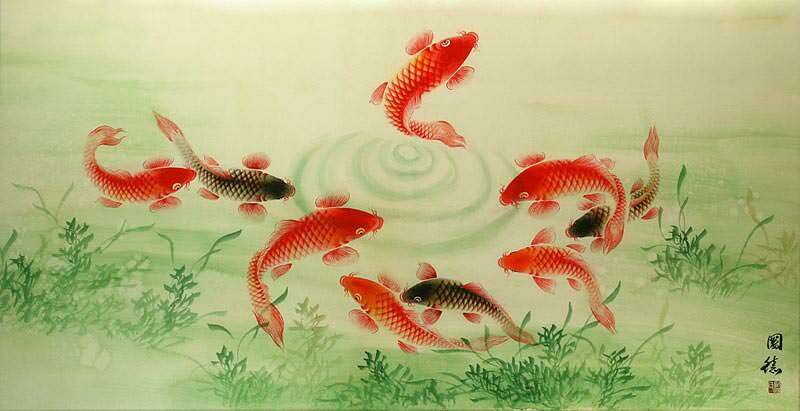 This artwork is completely hand-painted, and is mounted to a handmade silk wall scroll in our Beijing workshop. 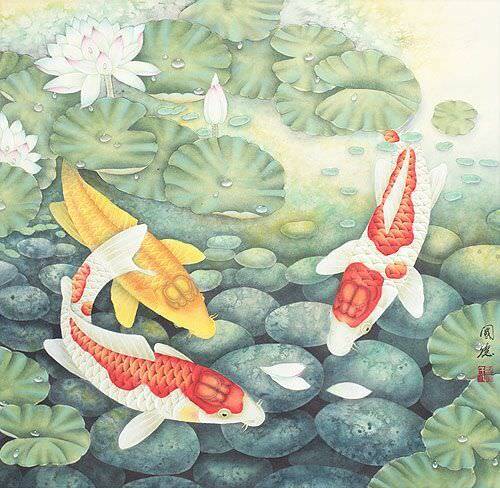 The artist's name is (Wen Jun). He lives near Guilin, in Southern China.